Ventus grinned at Flat-kun. "So what about you? Do you have a dream, too?" "I think Kakeru's right about that," Aqua said with a smile. She walked over to a boom box and started up some Christmas music. They weren't turned up very much, but at least they'd add to the Holiday atmosphere. "But I went shopping for her for Christmas. I hope she likes what I picked out for her, because it's a little expensive." He said rubbing the back of his head, knowing full well that she might not like it and waste plenty of money. "That humans can continue to dream without the darkness taking over." "I think that's a great dream," Ventus replied, grinning. Aqua couldn't help the smile on her face. "Aw, that's sweet. What did you get her?" Yoite had been trudging through several layers of snow, in fact, it was just about to his shin, yes, that amount was little, but seemed like a foot high to him. He coughed a small amount of blood into his gloved hand, wiping the remaining off of his face. He was very exhausted, but he decided to come, for one reason. 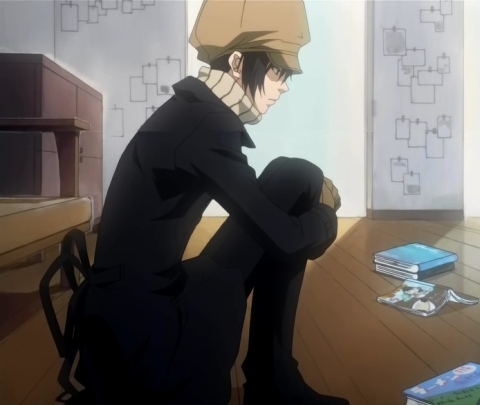 Miharu, his young lover was missing. He held a fear that he was in danger, but couldn't figure the intricate puzzle to where he may lie. Approaching the entrance, he used one hand to push open the heavy door, a door that contained the heat that Yoite could barely feel. That is why he always wore a coat, hat, gloves, sweater, and now an added addition: a scarf. He was always cold. Yoite looked up upon shutting the door, a silent gesture that he had arrived. He took a seat by the door on the floor, his knees wrapped with his arms. 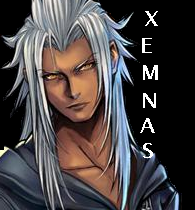 Xemnas blinked, noticing the young man enter from the street, he approached Yoite, a stoic expression on his tan face. He stood in front of him and gently nudged him, "Are you alright? You look cold, come by the fire." He motioned to the fireplace further inside the room. Yami Bakura laughed, "Obviously that boy of yours doesn't know what he's missing." He flirted again and then faced Kakeru, "Kid she'll love it, unless it's lingerie..."
"So I figured instead of it being plain, it could use some color." Yoite flinched heavily as the other person had touched him. He didn't like it when someone touched him, because he then thought that he would accidently kill them or injure them. He gazed over to the fire, which was burning warmly. He stood up, reaching his six feet seven inches peak, and staggering over to the fire place. Sitting at the same position in front of it. "Hey! Are you okay?!" Ven rushed over to the new guest's side. He saw the blood on Yoite's gloves. "Aqua! I think he's hurt!" "Eh?" Aqua rushed to Ven and the new guest. "No, there aren't any cuts." She frowned. "Are you sick? Here, let me get you some tea or some hot cocoa." She went back to the food and snacks and poured a steaming mug of tea. She handed the mug to Yoite. "Can I get you anything else?" "You could say that," The true fact was that he was dying. Slowly dying, because of all the different times he had used his kira ability. He took the tea, taking some away from the cup. However, he couldn't taste it. He was used to this, he could barely taste a thing these days, but it was warm, so he continued drinking it, "Snow is cold." He said obviously, setting the cup down and taking off his gloves, revealing his black hands. This was what his entire body would soon end up looking like, he knew it was only a matter of time. He held them out to the fire. Ventus stared at the boy's hands. "What happened to your hands?" he asked. Aqua sighed. One of these days she would have to teach Ven the meaning of tact. "I'm glad you could make it to the party, Yoite," she said. She'd met him once or twice before and knew that he didn't have anywhere else to spend Christmas, and since she believed no one should spend Christmas alone, invited him to the party. Xemnas tried using a Cura to help heal Yoite. He could tell the boy had some kind of terminal condition and he frowned at the little keyblader, "Maybe he doesn't want to talk about it, you don't have to have a heart to know that." Yami Bakura squinted, looking at Kakeru's picture, "Mm, yeah she's a cutie." He grinned, an evil smirk forming on his lips, "Ribbons say a lot about a man." "I think Xemnas is right, Ven," Aqua agreed. She heard the timer in the oven ding. "Oh! Some fresh cookies out of the oven, coming right up." She left and returned moments later with warm gingerbread cookies. "Do you like sweets? I'm sure this gingerbread has enough cinnamon in it," He suggested, then looked up at Xemnas, "Do you know each other? You both have long black coats, except his is a little shorter. "Kira. This is what happens when you use kira. You're body slowly dies and withers to nothing," He said flatly, "kira is a techinque that no one should learn." Yoite took Kakeru's suggestion, and grabbed a cookie off the tray. It was very vague, but he could somewhat taste the cinnamon. So he took three more, quickly eating them, in case he would lose his taste then and there. Xemnas laughed a little, looking at Yami Bakura and realizing all three of them had long black coats, "Coincidence? ....Fashion sense? This cloak I'm wearing is standard uniform for our Organization." Yami Bakura frowned, secretly regretting wearing similar clothing to the tan man, "Err...coincidence..yeah." "But what is kira?" Ventus asked, confused. "Ven, eat a cookie. If he wanted to tell you, he would have." Aqua set the plate of fresh gingerbread down. "I'm glad you like them, Yoite." "How old are you?" He asked the kid. "Fifteen. I think." Ven didn't really know how old he was. Master Eraqus had told him he was fifteen, but he didn't have any idea how he could possibly know. "Why do you ask?" Aqua shook her head at the discussion of coats. "Perhaps black coats are just in and we should leave it at that?" she suggested, smiling. 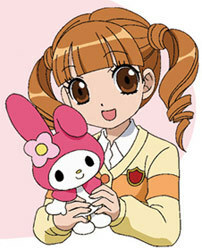 "Miharu is fifteen. I'm seventeen," He said, which was true, even though he was freakishly tall and dying. He didn't mind it now though. He didn't want Miharu to use the Shinra Banshou. He wanted to live with him until he died, and that was that. Ventus was a little confused. "Miharu? Is that your sister." Aqua was just taking a sip of her hot cocoa when Ventus asked the silly question and almost choked. 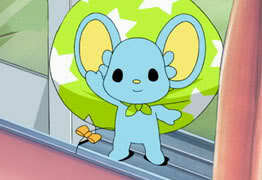 "Miharu is a boy," she said to the young Keybearer. Xemnas chuckled at the keyblader's blunder, "It obviously an important person to him, a mate perhaps?" "Mihary saved me from my worst enemy. So I will protect him until I die," He said firmly, taking another cookie, "I am thankful to him." "Wow! It sounds like you two are really good friends." Ventus thought everyone was friends, though, so if they were anything more or less, he probably wouldn't get it. "Wait, who is your worst enemy?" He asked curiously, taking a cookie himself and eating it. His worst enemy was Hiiraghi-sempai, because he was always luring Uta-Chan away. "My worst enemy is myself."